A property management company gives you all the financial benefits of rental property ownership minus much of the work. While rental units provide a steady income stream, the demands on your time can complicate an already busy schedule. A reputable property management company will have deep expertise in the local rental market and all the elements that affect rental and occupancy rates. They will able to establish a fair market rental rate based on its location and the rental’s characteristics. They have access to housing market statistics and use their own networking to stay on top of the market to identify trends and opportunities. Local knowledge about the employment centers, desirable neighborhoods and the best school districts helps you identify market opportunities and establish optimal pricing. Advertising and showing the property is a large part of owning rental properties, and one at which a property management company excels. They’ll prepare the property for showing, schedule appointments and meet with prospective tenants at the property. If there is interest, the agent will take the necessary information to qualify the applicant. Of all the reasons to hire a property manager, tenant screening could be the most important. Approving applicants with regard to their past rental history, employment and credit checks is time-consuming, expensive and necessary to finding respectful and qualified tenants. 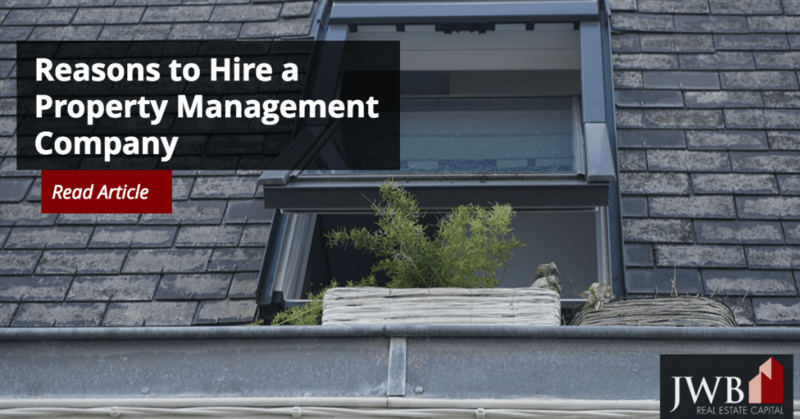 Besides relying on an applicant’s history, the experience the property manager has also helps him make recommendations about tenant selection beyond the paperwork. Applicants who insist on quiet locations, are avid gardeners, or obviously fastidious are typically good tenants. The leasing agents follow all the fair housing regulations and are fully versed in landlord-tenant laws in your community, reducing the need for and the high fees associated with legal services. Documenting the condition of your property before and after the lease-up period is an invaluable service provided by the management company. Unless you’re in the construction business, it’s not likely you have access to the suppliers and contractors in your area who provide the best quality and value when it comes to property maintenance. Performing repairs and making upgrades is part of property ownership. Instead of having to experiment first-hand with contractors, the management company will recommend individuals and companies with whom they have a good track record. While some expenses are minor, others, like repairing or replacing a heating or cooling system and dealing with major plumbing or electrical issues can run into the thousands. An experienced property manager will use their trusted, licensed contractors that protect you and your investment. Staying on top of the paperwork is another benefit of using a seasoned property management company. They have the software to keep track of all the income and expenses regarding your property, which saves time, tends to increase accuracy, and simplifies year-end accounting. Whether you live in the same area as your rental property or are separated by many miles, a property management group helps you make the most of your investment. Leaving the day-to-day details in the capable hands of professionals not only frees your time, it gives you ready access to their expertise and guidance.